This December, I joined almost 40 members of the IISD Reporting Servicesteam in Paris, to cover the United Nations Framework Convention on Climate Change (UNFCCC) negotiations at the 21st Conference of the Parties (COP21) and other ongoing events at the COP. My team covered the Rio Conventions Pavilion – linking the 3 UN conventions on biodiversity, climate change and sustainable land management. Of course most attention (and rightfully so) centered on the +2 weeklong negotiations, resulting in the historic and universally adopted Paris Agreementby nearly 200 parties. All universities should be teaching students about the causes, the impact, the history, the solutions, the economics and the politics of climate change. These might not be lectures or seminars for particular students on particular courses. Sector leaders – myself included – need to be more creative and innovative in how we embed and stimulate teaching, learning, research and inquiry into the subject of climate change across all our disciplines and areas of study. Always worth a read. David Marlow uses footballing analogies to help paint the picture of provincial cities. 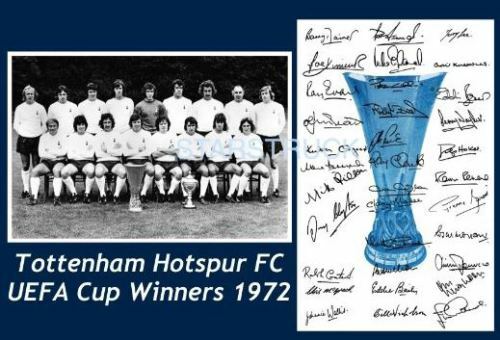 As a lifelong Spurs fan, two of my signature memories are our UEFA Cup Final victories over Wolves and Anderlecht in the 1970s and 1980s. I retain an affection for that competition’s successor – the Europa League. It has too long been treated as the ‘runt’ of EU competitions, compared to the self-perpetuating cabal who appear to call the shots in the Champions League (ECL). This blog has argued periodically for a ‘rebalancing’ between the relative largesse distributed to ECL and Europa League participants. The respective 2015/16 Group results of the two competitions seems to reinforce this case. The University of Nottingham today hosts a conference that challenges us to consider how we make the UK Energy System work. As the debate in Paris gets in to full swing at COP21 it’s pertinent to consider how the trilemma of carbon, cost and resilience can be resolved. The University’s own Chair in Sustainable Energy and Director of the Energy Technologies Research Institute, Prof Gavin Walker, opened the conference and introduced Prof Paul Ekins – a leading expert and commentator on energy policy – from UCL. The inclusion of decarbonisation as a challenge alongside cost/competitiveness and energy security has changed everything. As we transition from carbon intensive energy supplies of coal, oil and gas, where do we turn for our primary energy needs and do we have the infrastructure to generate, store and distribute energy to meet current and future demands. Ekins recognised the challenge and opportunity afforded by cracking the energy storage solutions we need to meet our needs. New demand technologies, e.g. electric cars and electric heat pumps, need to be integrated into the existing systems, offering both infrastructure challenges as well as opportunities to store and transform our systems. Possible opportunities, but with significant implications, include bioenergy – recognising the competition for space, biodiversity, food and energy. Internationalisation, as part of the global system, is central to the debate around fuel supply (bioenergy, gas, oil), technologies and investment and, of course, achieving carbon emissions. Integration of international systems, notably across the EU, through inter-connected grids is uncertain. These choices are, essentially, political. There is not always compatabiity between these technologies either. It needs to be seen as a whole system. The 20/20/20 targets by 2020 across the EU is driving change and promoting carbon reduction, renewable energy investments and energy efficiency. The UK’s share is less than the EU average. So, what has been the UK’s response? The Climate Change Act has created a framework of legal commitments which has led to sizeable carbon reduction but challenges to achieve renewable energy capacity remain. The process, overseen by the Committee on Climate Change, is science-led and has proved challenging for politicians. The absence of carbon pricing is a barrier to driving faster and deeper change. It’s only the taxes imposed in the UK on carbon-intensive energy that contributes to this approach. Markets, therefore, by themselves, will not decarbonise. So, what needs to happen to achieve the targets we have set? There are a large number of questions, but before anything is undertaken there should be a trajectory of future demand needed first and foremost. What’s the future of gas and their networks? Can they be re-purposed for biogas or hydrogen? Ekins recognises this is an unprecedented policy challenge and recognised Stern’s work and recommendations to put in place carbon pricing; technology policy, and; promoting behavioural change and the need to remove barriers to that. Will carbon pricing drive investment in energy technologies and behavioural change. Cities recognised as having a key role in this challenge. Ekin’s analysis of the current UK Government’s policy is damning, recognising its response has been contradictory to the commitments mdade in law. We have moved from subsidising the most efficient and cheapest forms of energy (solar and on-shore wind) to heavily subsidising the most expensive (nuclear). In combination, the Conservative Government has undermined investor confidence such that we cannot be sure that the investment needed in new energy generation will be forthcoming.